Making Jewellery magazine includes 132 pages packed with in-depth information on all aspects of jewellery making, from techniques and projects to interviews with master makers. 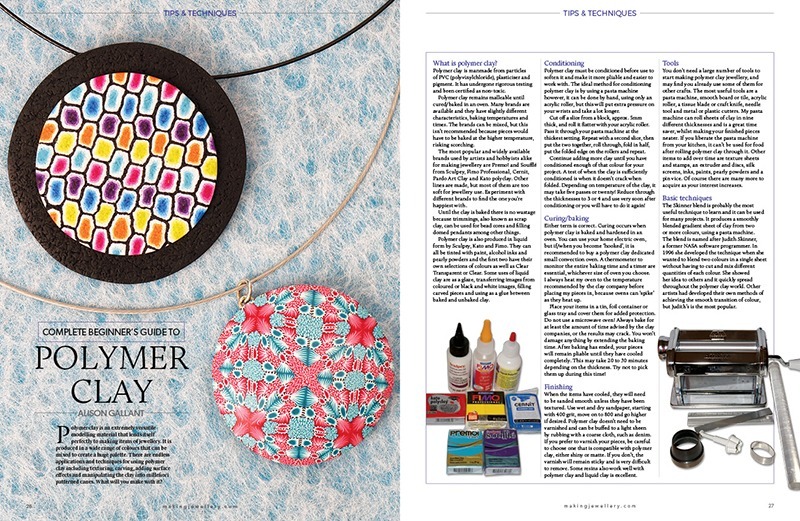 Each issue focusses on a material or jewellery-making discipline including metal clay, polymer clay, mixed media and wirework. Our techniques and projects are broken down into detail with step-by-step pictures and instructions to make the process clear and easy to follow. Each issue also features news, an events calendar, reviews and articles of topical interest in the jewellery world. Every quarter the issue is a professional one aimed at those interested in business and selling their jewellery. These issues focus on the business side of making jewellery along with articles about metals, gems and tools. Plus UK subscribers save an extra 10% by choosing Direct Debit at checkout! This month we are focusing on all things wirework. Highlights include 11 diverse projects; 3 fantastic Meet the Masters with leading wirework specialists; and an easy DIY for a ‘secret’ crafting place in your living room with our No Place to Work? feature. 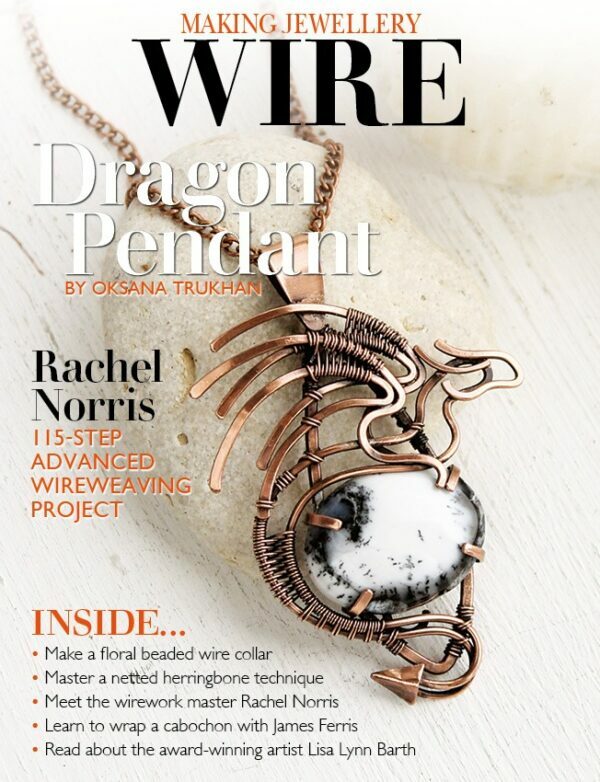 Get ready to discover how you can create more-complex wire designs that involve soldering and hammering in the Wire Dragon project by Oksana Trukhan. 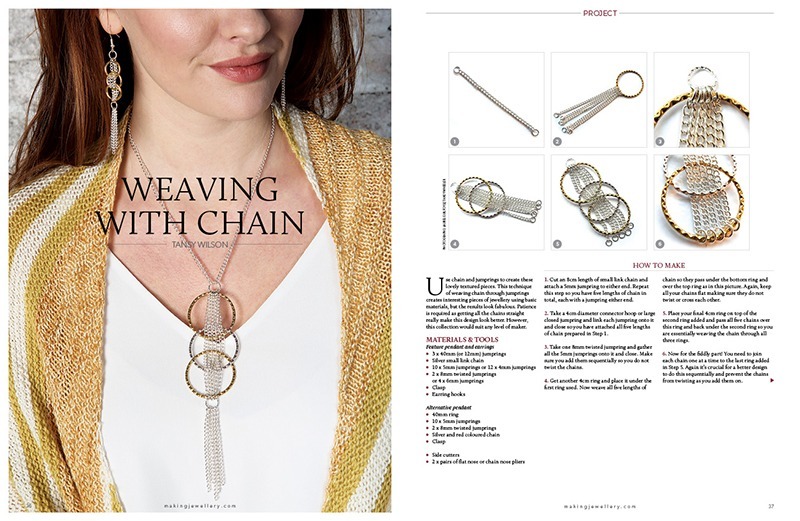 Also featured are classic wire-weaving projects, like the stunning Oculus in Wire bangles by Janet Dwyer and the elegant Breath of Spring pendant by Jolanta Pietrzak. Like a fun challenge? Then follow the amazing 115-step Crystal Swan Necklace project by the talented Rachel Norris and make your very own glitzy party piece. Settle in and discover who’s up-and-coming in the world of wire with our Ones to Watch feature and find some great inspiration from our Wirework Gallery. With all that plus our regular features, you’ll find plenty to keep you entertained in this wirework issue of Making Jewellery, out now!